Serena Williams has been staying very active during her pregnancy and revealed to AOL Entertainment that she's been playing tennis "once a week at minimum" ever since she found out she was expecting. Williams, 35, famously won her twenty-third grand slam at the Australian Open earlier this year while pregnant, and though she's been absent from the tour since she beat sister Venus in the final, she's been staying active in more ways than one during her pregnancy. "Some days I'll do a long walk and most days I do pool workouts, which are fun and new for me, because I never really do that," she told us of her pregnancy fitness routine. "It's been really fun and totally different! I try to play tennis once a week -- at minimum -- and sometimes I try to make it out twice a week. I don't do too much. No running or anything like that; I just kind of relax and have fun and work on my stroke. I'll tell my hitter that I don't want to lose my touch, and he just laughs at me." In addition to staying fit, Williams has also been focused on getting enough sleep during her pregnancy. She recently partnered with Tempur-Pedic to share how her 10 years of experience sleeping on a Tempur bed have impacted both her performance on court and remaining comfortable and well-rested while pregnant. During a recent trip abroad, she recognized the discrepancy between the sleep she got at home and the sleep she was able to get somewhere else. "I traveled to France to see Venus play at the French Open [in May], and I slept probably two hours total every night," she explained. "Then I understood what a difference my Tempur-Pedic makes in my life." "I don't even want to travel, because I just don't want to experience that," she continued. "My last trip and any trip I've made since I've been pregnant have been so hard. There's such a dramatic difference [between sleeping on the road versus my Tempur-Pedic]. I told the doctor, 'Can you tell everyone I can't travel anymore?' She said I was okay to, but I was like, 'Can you just tell everyone I can't? I can't do this anymore!'" 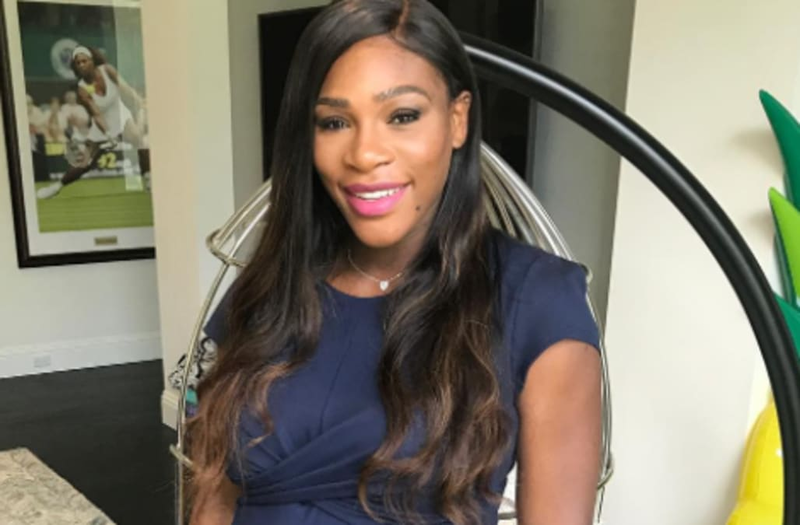 It's because of that discomfort that Williams has decided to remain at home in Florida until she welcomes her first child with fiancé Alexis Ohanian. Serena, who isn't used to being at home for such an extended period of time, said she was "really worried" about how she would fill her time. But, between preparing for her child, joining the board of SurveyMonkey and continuing to work on Serena Williams Signature Statement, she's found more than enough to do. "I've been taking my time doing a lot of things," she explained with a laugh. "[I'm] working on the nursery ever-so-slowly [because] I dont want to get it done and not have anything else to do. Each week, I have small goals. That's how I've been spending my time. Obviously, I'm still working, and I sit on the board of a company, so I find that my office hours are intense and that keeps me busy." In fact, Williams has been enjoying her time away from the court -- so much so, that she didn't have any FOMO (fear of missing out) during Wimbledon this year, where she watched older sister Venus reach the finals. "I think if I were injured, I would have FOMO, but because I'm expecting, it's different," she said with a huge smile. "I'm really excited to get back, but I couldn't have a better reason not to be at Wimbledon." Serena, who has been texting pal Victoria Azarenka for advice on how she was able to come back after giving birth so successfully, is clearly looking forward to being a mother. When we asked her how her youthful personality will affect her parenting style, Williams got positively giddy. "Since I'm a teenager at heart, I'm basically a millennial," she said. "I think it will affect my parenting style in terms of thinking forward and having an open mind about certain things." And will her future child take after Serena when it comes to her passion for karaoke? She says that "hopefully the baby will be much better than me!" We can't wait for their future duet.